Looking to live in a great neighborhood to call home in Franklin TN. How about a community that offers a sprawling 850 acres surrounded by a white fence, walking trails and 4 parks. There is easy access to KinderCare and Hunter's Bend Elementary School. Residents can even walk to Publix, Walgreen's, Fifth Third Bank and two restaurants located inside the community. Consider living in Fieldstone Farms where you can stay connected with current activities in the neighborhood via their online calendar of events including "yard of the month", "Easter egg hunt", "soldier ride" as well as many other events. The community Fitness center offers Yoga, Zumba, Power Sculpt & Water Aerobics. Lets take a look at the last six months of Real Estate Activity and Statistics for Fieldstone Farms going back to June 17th, 2011 through December 17th, 2011. 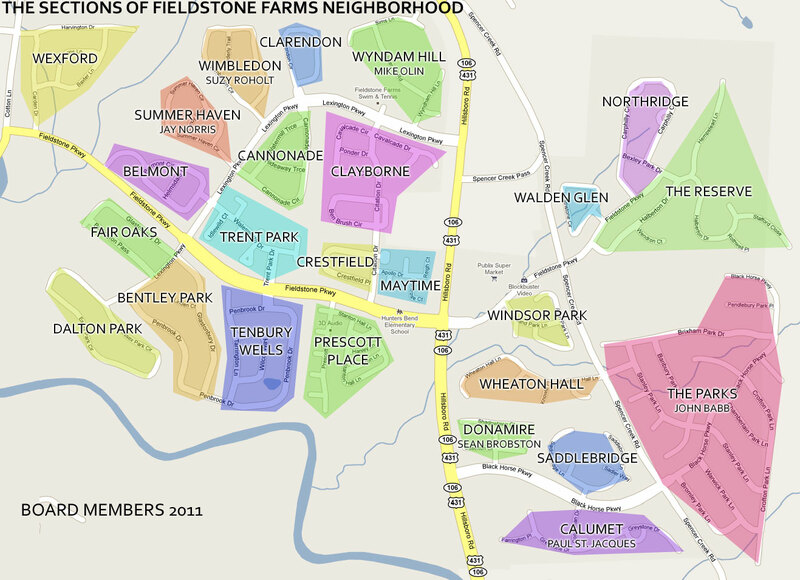 Fieldstone Farms has a total of 24 Residential properties listed for sale as of December 17th, 2011. We can now break these numbers down to three averages: The chart shows that Fieldstone Farms currently listed homes for sale are listed for an average price of $330,745, with an average list price per square foot of $121.24. The average day's on market are currently at 100. The median number's are a reflection of half of the homes higher and half of the homes being lower in each category. 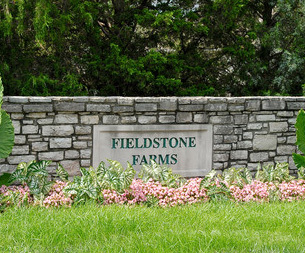 Fieldstone Farms currently has a total of 3 Residential properties listed as a Pending Sale as of December 17th, 2011. Pending sales are properties that have an agreement between the buyer and the seller and are scheduled to close on an mutually agreed date. We can now break these numbers down to three averages: The chart shows that Fieldstone Farms homes currently listed as pending home sales are listed for an average price of $306,133, with an average list price per square foot of $135.10. The average day's on market are currently at 57. Fieldstone Farms had a total of 67 Residential properties that sold and closed from the time period of June 17th, 2011 through December 17th 2011. Closed sales are properties that have sold and that the transaction between the buyer and the seller is complete. We can now break these numbers down to four averages and a list price to sales price ratio: The chart shows that Fieldstone Farms sold properties from June 17th, 2011 through December 17th, 2011 were listed for an average price of $306,561, with an average list price per square foot of $120.31. The average day's on market for these sold properties were 71. The average price that properties actually sold for were $296,978, with this information we can see that the properties sold for 96.9% of the asking price. The median number's are a reflection of half of the homes higher and half of the homes being lower in each category. I can now determine how many months of inventory are currently on the market based on the number of properties currently listed for sale and dividing that number by the the absorption rate for the time period of June 17th, 2011 thru December 17th, 2011.. The above charts show that there are 24 listed properties in Fieldston Farms and the absorption rate is 11.17 residential properties a month. This means that as of December 17th 2011, Fieldstone Farms has just over two months of inventory. For our neighbors that are thinking of selling your home, now is the time to prepare: The spring selling season is just around the corner and these buyers are contacting us now in their preliminary search for a home, and if you want to get the best possible price for your home, we need to help you get your home properly prepared so that the first impression that the buyers have of your home is one they remember for the right reason. Give us a call for a free consultation. We are here to help! The City of Franklin is the County Seat Williamson County and is just a short drive from downtown Nashville and has a very diverse economy and offers residents wonderful choice of social, dinning and family activities. Just to the south of Nashville and Brentwood, many people find Franklin to be a great place to call home. Many types of opportunities for work can be found in and around Franklin and the area enjoys a diverse economic base. Franklin continues to grow and offers great opportunities for residents and businesses currently in the area and those moving to the area. Interest rates are at historic lows, and now is the time to buy. If you are selling your home give us a call and let us show you how to come out on top in this market. Waiting for the market to change will cost your buyers more to borrow money and price some of them out of your market, as well as cost you more when you buy your next home. Like A Home That You See?